If you're looking to grow your business bigger and faster than you ever imagined possible, using a step-by-step guide on how to utilize social media marketing....THIS BOOK IS FOR YOU! 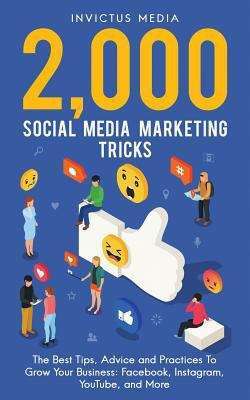 "2000 SOCIAL MEDIA MARKETING TRICKS" is a title of more than just tips and tricks you can apply to social media platforms - it is a DONE WITH YOU guide to ensure your growing success on the current hottest platforms out there - Facebook, Instagram, Youtube, and others! Don't waste another day wondering when is the perfect time to join in on the social media frenzy. Start taking your business to the next level and purchase your copy today.